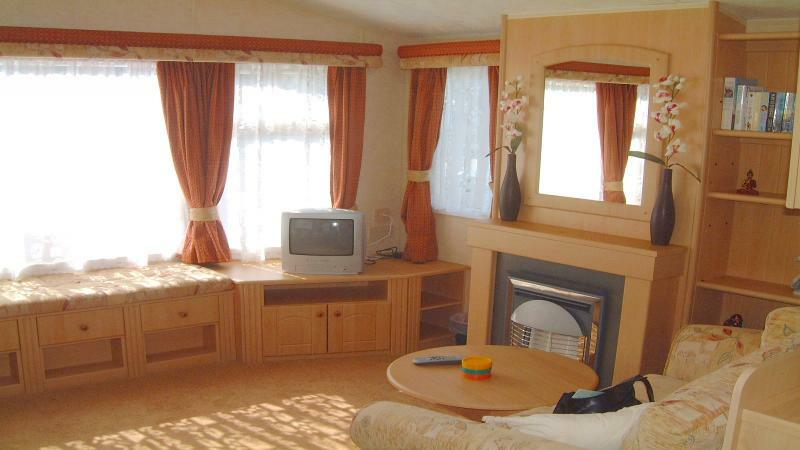 3 bedroomed caravan has everything to make your holiday a great one. The living room has a tv/dvd combi, digital freeview, mini hi-fi and ample seating. There is an iron and ironing board, and for those who love the outside a patio set and bench to soak up the sun. central to all the parks amenities and a short walk to the pathway to tenby`s beautiful south beach our ideal location gives you more time to enjoy your holiday. When booking We require a minimum of ?50 deposit The balance is required 6 weeks prior to the holiday start date. RPN 1,Kiln Park, Marsh Road , Tenby, SA70 7RB.